← Oh Snap, It’s Your Birthday! I put together a very simple photo tutorial featuring a dragon image freebie from Dustin Pike and some Washi tape that I bought at Target. This idea could be easily applied to any card that features Washi tape. 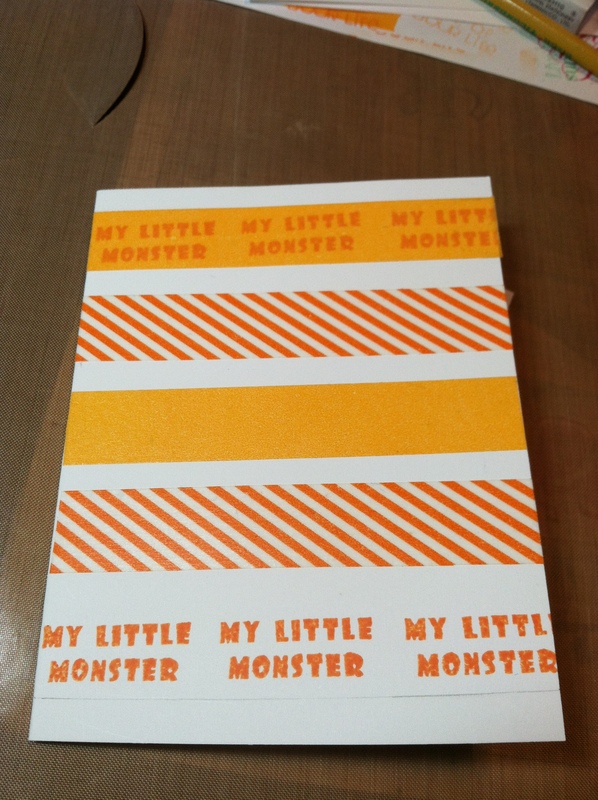 First I laid out the Washi (paper tape) tape on the card. The great thing about this kind of tape is that it sticks to the paper but, it is removable and repositionable! After lightly tracing underneath the tape, I pulled the tape off and stamped my sentiment. 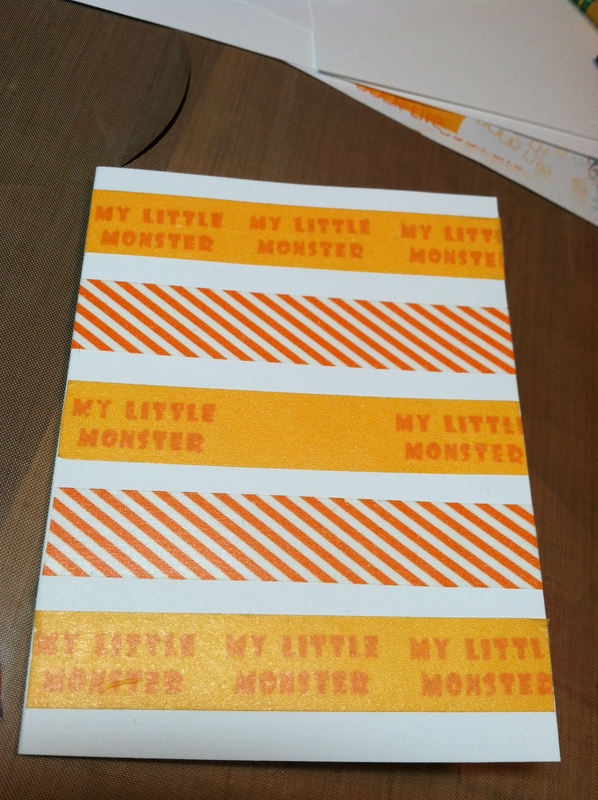 I had tried to stamp on the tape but the finish was too glossy and the ink smeared. I finished stamping my sentiments and then I put all of the tape back in place. My digital image was colored with a mix of Copic markers and colored pencils. I use baby oil and paper blending stumps to soften the look of the colored pencils. 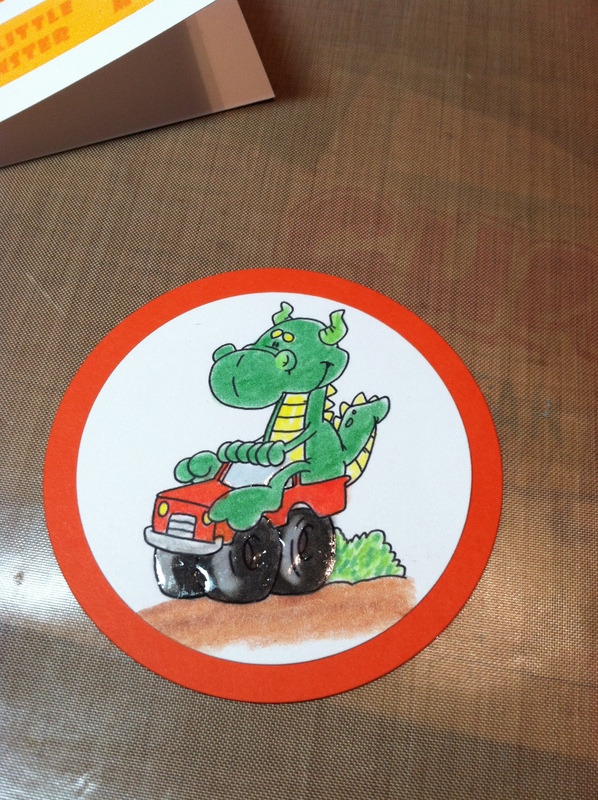 And for a final touch I added silver brads to the wheels of the truck before mounting my image on the card. 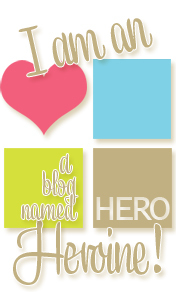 I am making a few of these cards to donate to Operation Write Home. That would be a cute card for a soldier to send home to his/her young son. 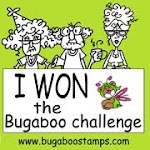 I am also entering this card into the Anything Doodle Dragon Goes challenge on Dustin Pike’s blog. 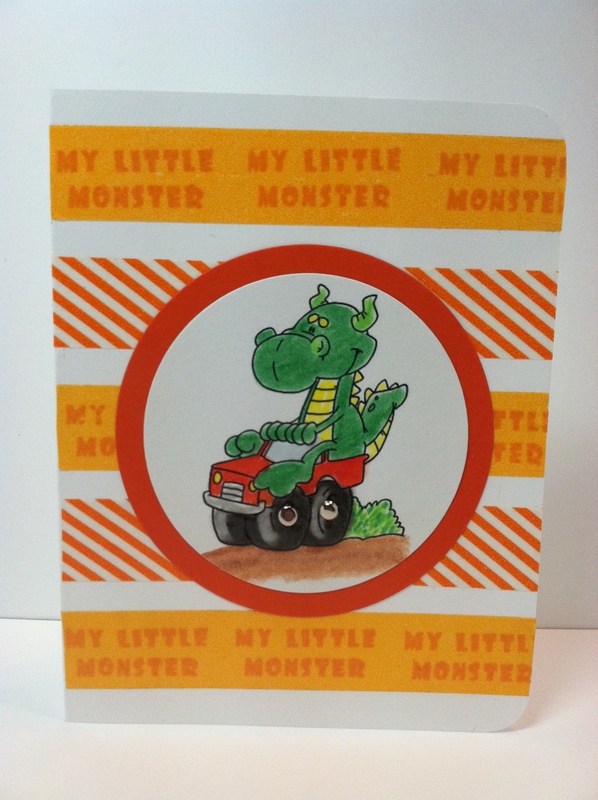 Posted in Any Occasion, Masculine Cards and tagged cards for little boys, Dragon Card, Dragon card ideas, Dustin Pike Dragon, Dustin Pike Dragon Card ideas, Washi tape card, Washi tape ideas. Bookmark the permalink. Thanks, everyone! I love Dustin’s digis! 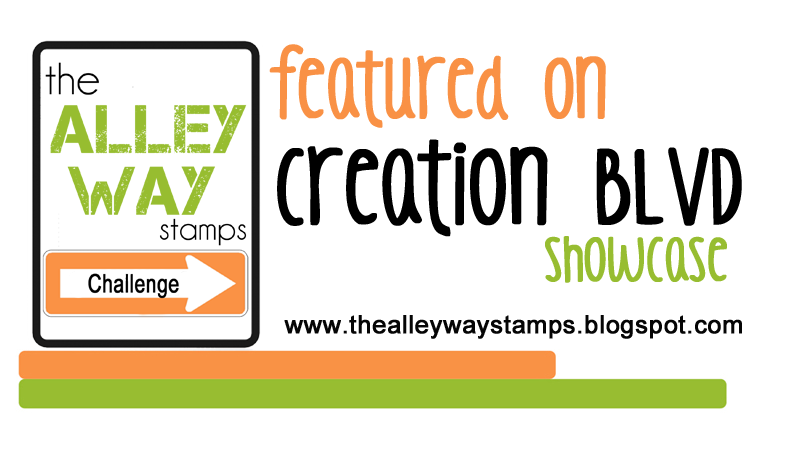 Love the washi tap you used and of course the image is wonderful. Thank you for playing along this week at “Pike’s Playground”. I sure hope you had fun!!! See you back very soon to play in another fun challenge. Great card… thanks for the tutorial. I have a couple rolls of washi tape, but I hadn’t seen this technique yet. Thank you for joining us at “Pike’s Playground” this challenge. I bought washi tape at Target, too! I, however, haven’t found a use for it yet. I like the tutorial and feel a card coming up in the future! The dragon is cute, too.